On the end of September the people of TNI treated the MSX Community with a nice MSX fair in Bussum, Netherlands. This year the fair was held for the 15th time (including the legendary MSX fairs in Zandvoort). But there were more reasons to celebrate. There were much more standholders this year and a week before the fair was held a delegation of the Japanese MSX Association announced they would attend the fair as well. More than enough reasons for many members of the (Dutch and Belgian) MSX Community to pay this fair a visit. From the looks of it, there were also more visitors than last year indeed. The fair took part on the second floor of the Uit-wijk building, divided over a hall and several rooms. In the hallway there were booths of Delta Soft, who were selling their MSX releases like Find It! and XAK English and Darkthrone, a new group featuring Rudi Westerhof who also took a nicely modded 8245 with him. (He tends to call it the 8275). In the first room there were stands of Sunrise, they demonstrated Tsujikawa's one chip MSX, the Ethernet prototype for MSX, and you could pre-order two new MSX-releases: Bombaman and Moonlight Saga. Of course Team Bomba was there too, to demonstrate the latest version of Bombaman as well. MSX-NBNO sold quite a lot of software titles as well and Jetze Mellema demonstrated several interesting products from his personal collection, like Brazilian MSX computers and MSX robots. In another room the people of openMSX demonstrated the power of this emulator that seems to improve every day. Bitwise showed the latest TMT_net developments with a very interesting 4-monitor setup. Other standholders like the MSX Affiliates Forum and HCC-MSX-gg also made sure the fair was well worth visiting. MSX Resource Center shared the room with MSX Association, TNI and Sargon. TNI demonstrated things like a Gameboy Emulator for Z380 and GFX9000, but also the normal Gameboy Emulator for MSX, achieving already acceptable speeds on turboR (!). Rieks Warendorp Torringa of Sargon sold translated games. One new release: MSX fans can enjoy Firehawk in English now! MSX Association used part of the MSX Resource Center stand to demonstrate MSXPLAYer and the MSX Magazine Festival DVD. They also had some gifts for the visitors of the fair: Official MSX Magazine bags and, for the lucky few, a sheet full of MSX stickers. One of the rooms was setup for beamer presentations. During the day several YS movies were shown, a very entertaining quiz was held and a new MSX Game was announced: Guru Logic. This MSX2 game is being developed by members of TNI, TeddyWareZ and MSX Resource Center. 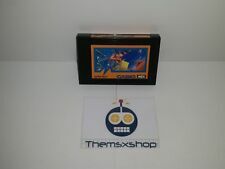 The game was originally released for Gameboy Advanced by Aiky (formerly known as Compile). 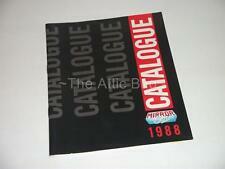 Now, it seems not unlikely that Aiky will license and release the MSX version of Guru Logic. However, the game needs to be finished first which will probably happen somewhere in the first two quarters of 2004. 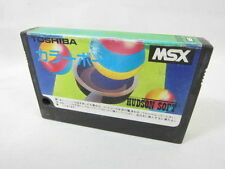 After the fair the MSX Marathon began, which we did not attend completely. During the beginning of the marathon someone was showing short movies of Tilburg fairs in 1994 and 1996. It was very enjoyable to see these images once again. All in all the Bussum 2003 fair was a remarkable day during which de MSX Community showed its strength once again. We hope to see even more visitors and standholders next year.